On the 25th (Thu), take in the spiritual surroundings of Reformed Church of Cluj-Napoca and then admire the natural beauty at Botanical Garden. For other places to visit, photos, maps, and more tourist information, use the Cluj-Napoca trip planner . Tel Aviv, Israel to Cluj-Napoca is an approximately 5.5-hour flight. Traveling from Tel Aviv in April, you will find days in Cluj-Napoca are a bit cooler (19°C), and nights are colder (5°C). Finish up your sightseeing early on the 26th (Fri) so you can go by car to Sighetu Marmatiei. Sighetu Marmației, until 1964 Sighet, is a city in Maramureș County near the Iza River, in northwestern Romania.GeographySighetu Marmației is situated along the Tisa river on the border with Ukraine, across from the Ukrainian town of Solotvyno. Kick off your visit on the 27th (Sat): stroll the grounds of Cimitirul Saracilor, stroll the grounds of Il Cimitero Allegro, take in the spiritual surroundings of Sapanta-Peri Monastery, then stroll the grounds of Merry Cemetery, then take an in-depth tour of Sighet village museum, and finally take in the architecture and atmosphere at Church of the Holy Paraskeva. To find more things to do, ratings, reviews, and more tourist information, use the Sighetu Marmatiei day trip planning app . Drive from Cluj-Napoca to Sighetu Marmatiei in 3.5 hours. Alternatively, you can take a bus; or take a train. Expect a daytime high around 20°C in April, and nighttime lows around 7°C. Wrap up your sightseeing on the 27th (Sat) early enough to travel to Dragomiresti. 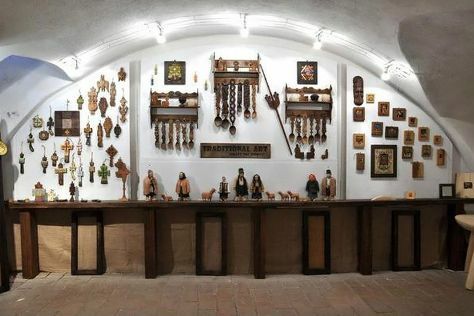 Start off your visit on the 28th (Sun): examine the collection at Muzeul Tarancii Romane, then take an in-depth tour of Ethnological Museum, and then steep yourself in history at The Wooden Churches of Maramures. To find reviews, ratings, photos, and more tourist information, you can read our Dragomiresti tour itinerary builder . Traveling by car from Sighetu Marmatiei to Dragomiresti takes an hour. Expect a daytime high around 21°C in April, and nighttime lows around 7°C. On the 28th (Sun), wrap the sightseeing up by early afternoon so you can travel to Izvoare. 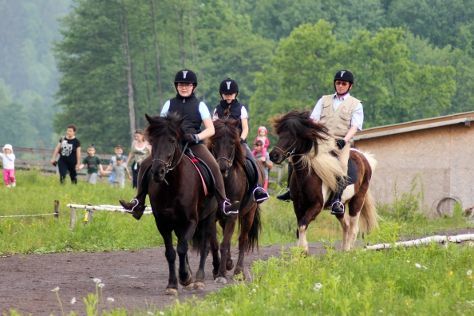 Kick off your visit on the 29th (Mon): look for all kinds of wild species at Ivo Wildlife Park and then explore by horseback at Icelandic Horses Riding Ranch. To find reviews, ratings, maps, and tourist information, you can read our Izvoare route builder app . Traveling by car from Dragomiresti to Izvoare takes 4.5 hours. In April in Izvoare, expect temperatures between 20°C during the day and 5°C at night. Wrap up your sightseeing on the 29th (Mon) early enough to travel to Sighisoara. Start off your visit on the 30th (Tue): get to know the fascinating history of Sighisoara Historic Center, take an unorthodox tour of Casa Vlad Dracul, take in the exciting artwork at Art & Crafts, then make a trip to Clock Tower, then pause for some serene contemplation at Church on the Hill, and finally take in panoramic vistas at Turnul Franghierilor. For more things to do, other places to visit, reviews, and more tourist information, you can read our Sighisoara trip planner. You can drive from Izvoare to Sighisoara in 1.5 hours. In April, plan for daily highs up to 20°C, and evening lows to 5°C. Finish up your sightseeing early on the 30th (Tue) so you can go by car to Brasov. 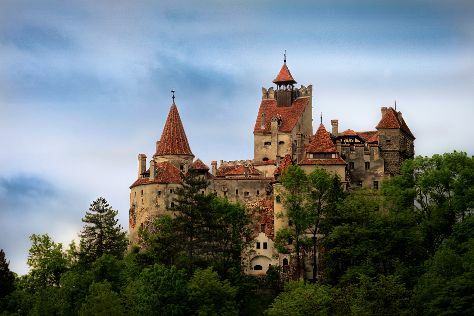 Kick off your visit on the 1st (Wed): explore the historical opulence of Peles Castle, then step into the grandiose world of Pelisor Castle, then step into the grandiose world of Bran Castle (Dracula's Castle), and finally explore the historical opulence of Rasnov Citadel. Get ready for a full day of sightseeing on the next day: don't miss a visit to Council Square, then take a stroll through Brasov Historical Center, then contemplate in the serene atmosphere at Black Church (Biserica Neagra), and finally take your sightseeing to a higher altitude at Mount Tampa. For traveler tips, more things to do, where to stay, and tourist information, use the Brasov attractions app . Traveling by car from Sighisoara to Brasov takes 2 hours. Alternatively, you can take a bus; or take a train. Finish your sightseeing early on the 2nd (Thu) to allow enough time to drive to Tulcea. Tulcea is a city in Dobrogea, Romania. Start off your visit on the 3rd (Fri): get engrossed in the history at Museum of History and Archaeology, then pause for some photo ops at Monumentul Independentei, then look for all kinds of wild species at Danube Delta Biosphere Reserve, and finally take in the spiritual surroundings of Celic Dere Monastery. To find ratings, other places to visit, photos, and other tourist information, use the Tulcea trip planner . You can drive from Brasov to Tulcea in 6 hours. Alternatively, you can take a bus; or do a combination of train and bus. In May in Tulcea, expect temperatures between 27°C during the day and 13°C at night. Wrap up your sightseeing on the 3rd (Fri) to allow time to drive to Bucharest. Kick off your visit on the 4th (Sat): admire the striking features of Muzeul National al Satului "Dimitrie Gusti", steep yourself in history at Mogosoaia Palace, then take in the architecture and atmosphere at Biserica Sfantul Gheorghe - Plevna, then ponder the world of politics at Palace of Parliament, and finally pause for some serene contemplation at Patriarchal Cathedral. Get ready for a full day of sightseeing on the next day: take a stroll through Old Town, stroll through Herăstrău Park, then admire the masterpieces at Peasant Museum (Muzeul Taranului Roman), and finally admire the striking features of Stavropoleos Church (Biserica Stravrapoleos). Use Inspirock's suggestions to plan your Bucharest trip and find the best activities and attractions for your vacation. You can drive from Tulcea to Bucharest in 3.5 hours. Alternatively, you can take a bus; or take a train. May in Bucharest sees daily highs of 27°C and lows of 11°C at night. Finish up your sightseeing early on the 5th (Sun) so you can travel back home.